In the last days of the twenty-fourth century, caught in the crossfire of the apocalyptic confrontation between the Bajoran Prophets and the Pah-wraiths, Captain Benjamin Sisko, and his crew face what might be the final millennium. 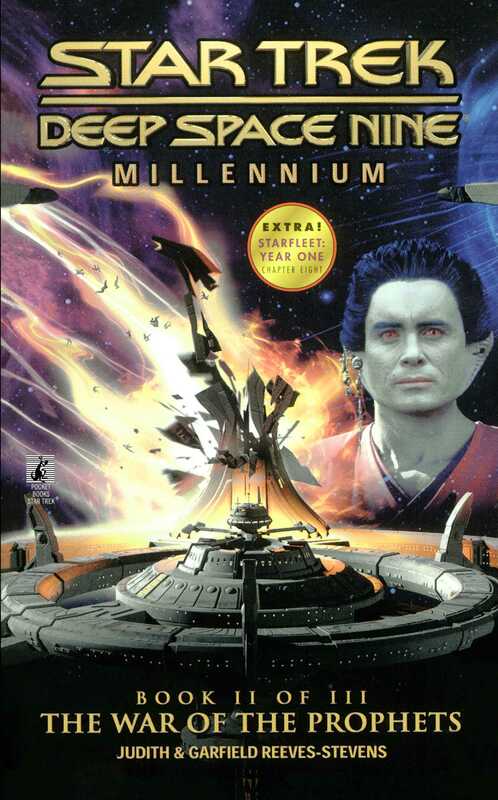 On one side, the Pah-wraiths' new Emissary -- Kai Weyoun -- promises his followers that when Bajor's two Celestial -Temples are restored as one, all beings in the universe will ascend to a new and glorious existence with the True Prophets. On the other side, the scientists of Starfleet predict that when the two Bajoran wormholes merge, they will create a Warp 10 shock wave of infinite destructive power. With the Federation on the brink of collapse, and Starfleet consumed by Admiral Jean-Luc Picard's obsessive quest to build the largest starship ever conceived, Sisko enters the ultimate race against time for the biggest stakes of all -- the survival of the universe itself. Judith & Garfield Reeves-Stevens are the authors of more than thirty books, including numerous New York Times bestselling Star Trek novels. Their newest novel of suspense, Freefall, is a follow-up to their Los Angeles Times bestseller, Icefire, and is set against the political intrigue and historical conspiracy surrounding the next race to the Moon. In keeping with their interest in both the reality of space exploration and the science fiction that helps inspire it, in 2003 Judith and Garfield were invited to join a NASA Space Policy Workshop for the development of NASA's new goals as put forth in the agency's 2004 Vision for Space Exploration. Then, for the 2004 television season, the couple joined the writing staff of Star Trek: Enterprise as executive story editors. For more information, please visit www.reeves-stevens.com.